I hope you all enjoyed my first exercise on deadlifts and I’m sure by now your technique is spot on and your strength is going through the roof. Like deadlifts, I find kettlebells are very technical and hard to use, so until you know what you are doing you should leave them alone. 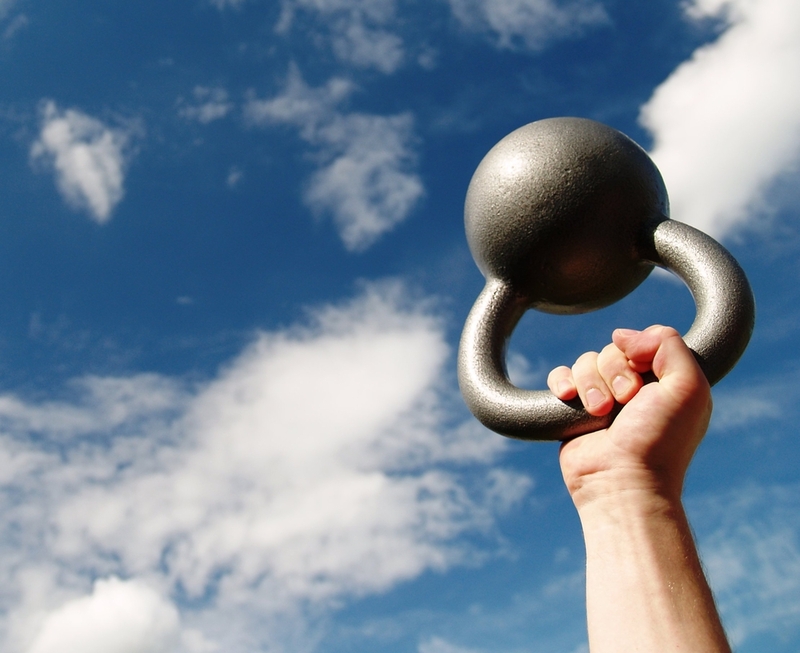 The last thing you want to do is injure yourself and not benefit from what kettlebells can do for you. 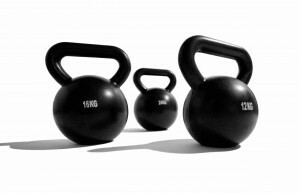 Firstly what are kettlebells “well they are those funny shaped balls with a handle on top of them…..shaped like a kettle? !’ The clue may just be in the name. But seriously kettlebells have been used for hundred of years and have a lot of key benefits to them. The great thing about kettlebells is that they require you to focus on whole-body conditioning. So that means that no muscle is ever used on its own. They also involve a lot of compound and kinetic movements. Lifting and controlling a kettlebell forces the entire body, and specifically the core, to contract as a group, building both strength and stability at the same time. Kettlebells are great for working your posterior chain (basically from your head down your spine to your toes). They are a great way for re-engaging your glutes muscles (bum) as all the action and force comes from contracting and using your bum as your dominant muscle. Unfortunately many of us now spend a lot of time sitting down at work (and in some peoples cases just generally!) this therefore puts a lot of strain on our hamstrings and lower back. kettlebells require you to focus on whole-body conditioning. So that means that no muscle is ever used on its own. Over time our Glutes become lazy and less dominant and that is why a lot of us can suffer from lower back pain and tight hamstrings. Muscles are all connected to each other and work together and no muscle should ever be isolated remember your bum is one of your biggest muscles in your body so lets use it! The benefits from Kettlebells are extensive, they can improve your posture, assist with weight loss, help with body conditioning, as well as improving your muscular strength, and bone density. The density of our bones is key as we get older and to women especially who can suffer from Osteoporosis (causes bones to become fragile and more prone to breaking.). They are also great for improving your overall Cardiovascular fitness and let’s not forget re-activating the glutes. why must a lot of us suffer from lower back pain and tight hamstrings. To sum up I think Kettlebells are a great way of exercising, but you must know what they are and how to use them before you start swinging them about. I have put together a little video for you below; this will hopefully be helpful to you. It is a little circuit consisting of 4 exercises; 3 using the kettlebells then one based on just cardio. Give it a go and try to do the circuit up to 5 times with a minute rest in-between. Have Fun and look before you swing!!!!!!! !